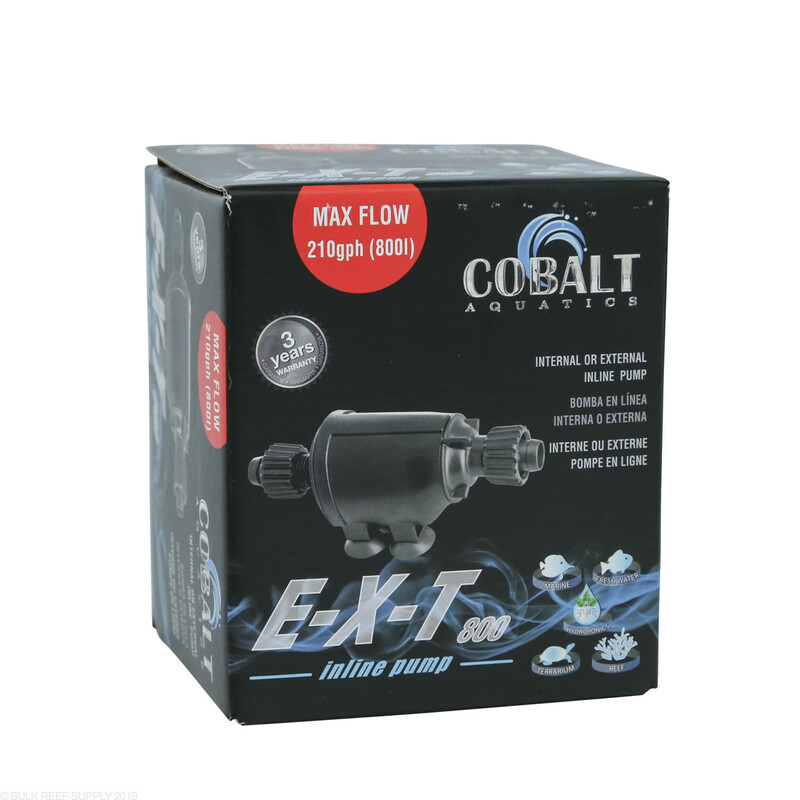 Inline pump with 5/8" hose barbs and locking rings to be used in a variety of aquarium setups. 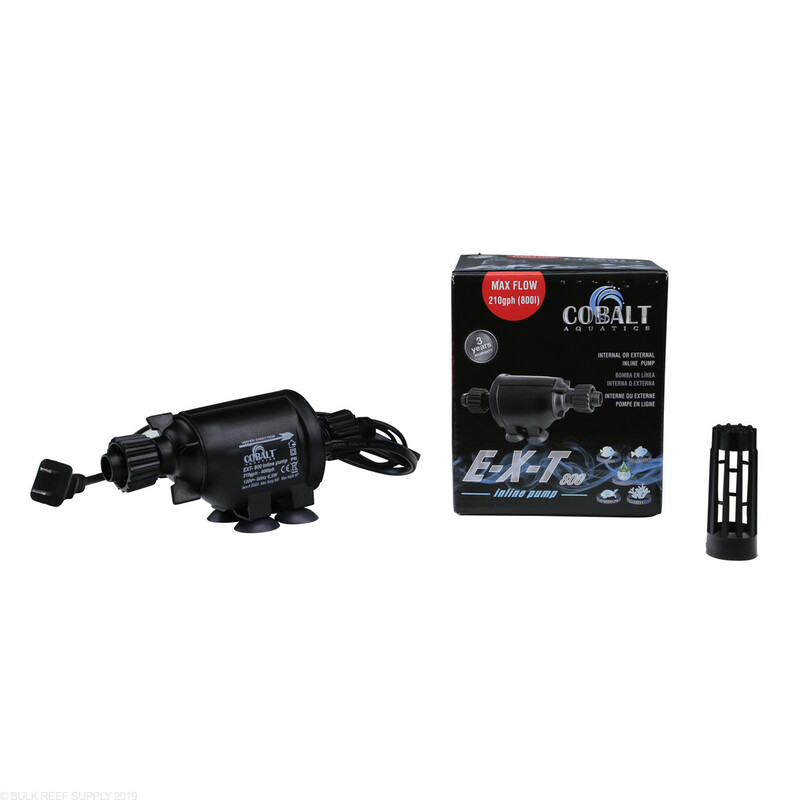 3-year Warranty from Cobalt Aquatics. 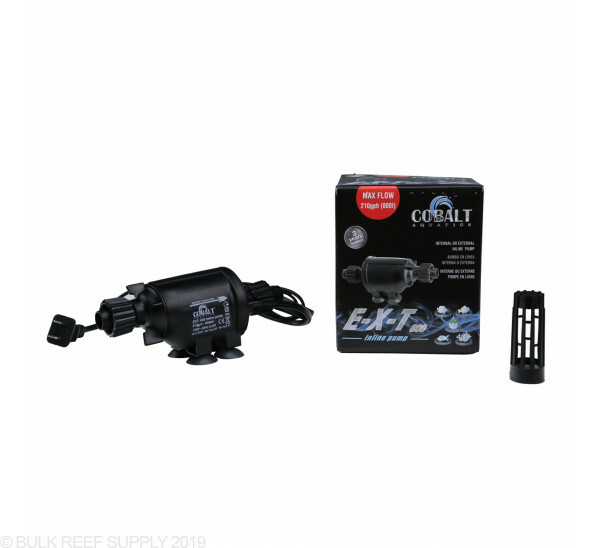 BulkReefSupply.com is an Authorized Retailer for Cobalt Aquatics products. 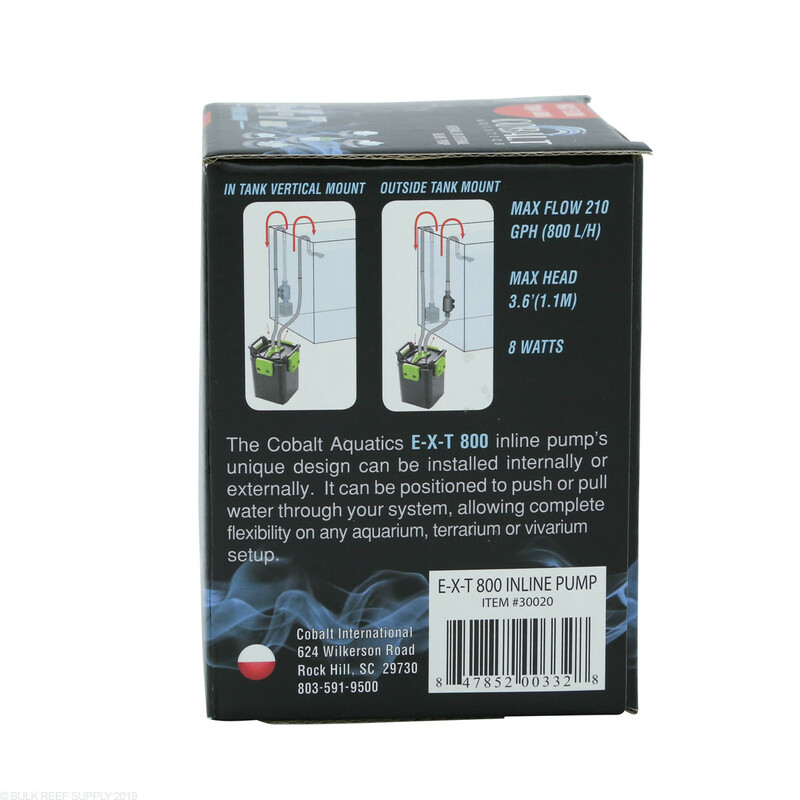 Cobalt Aquatics products purchased through our website are new and covered under any warranty through Cobalt Aquatics. All I can say is that the other person posting about it not working in line must have air in his plumbing. Probably has it on the return side and didnt prime it. I use it on the inlet side in line and it self primes that way below water level. This is a great little pump. It can either push or pull water, but produces very little head pressure so you do have to prime it whenever you use it externally, it will not begin a siphon on it's own. If using it externally it should be placed no lower than about 12" from the water level, at that level you should get pretty decent flow from it. Placing it just below the water line and you get full flow rate from it. 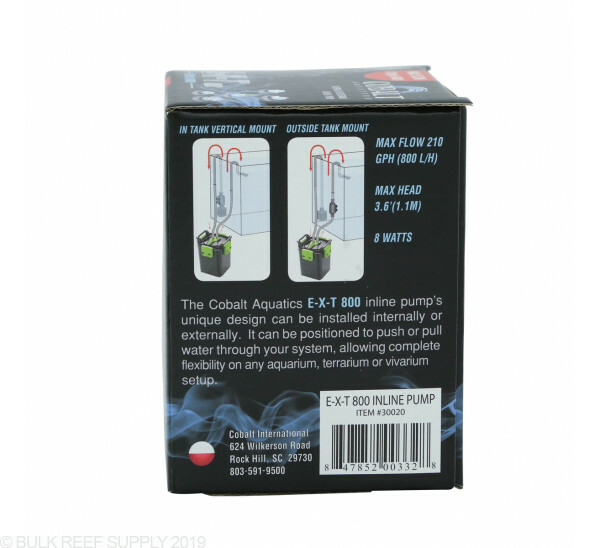 The pump is supposed work without being underwater, with only the inlet submersed. I tried everything, but it would only pump when the pump was underwater. I contacted the manufacturer,they exchanged it for me, ( great customer service) but the replacement pump would not perform as advertised either. It works fine when completely submersed. 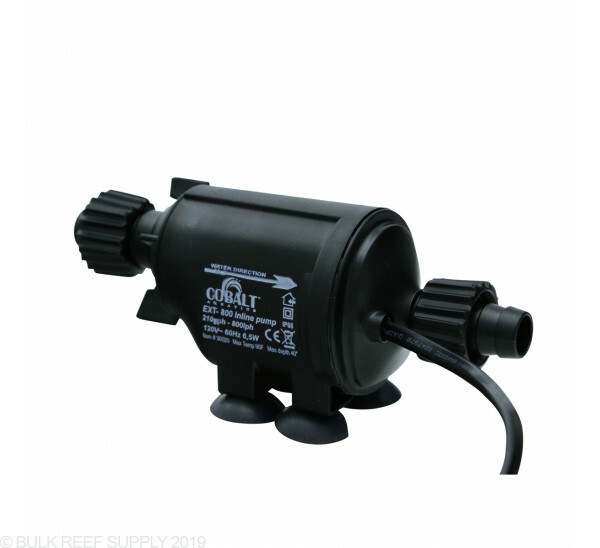 Is this the type of pump that can be used to do water changes with an aquarium? You would need to prime the pump which can be an issue if the desire of the pump is to do water changes. A traditional drop in pump would be the best solution since once they are in a bucket of water they are pretty much self-priming. What size are the inlet and outlets? 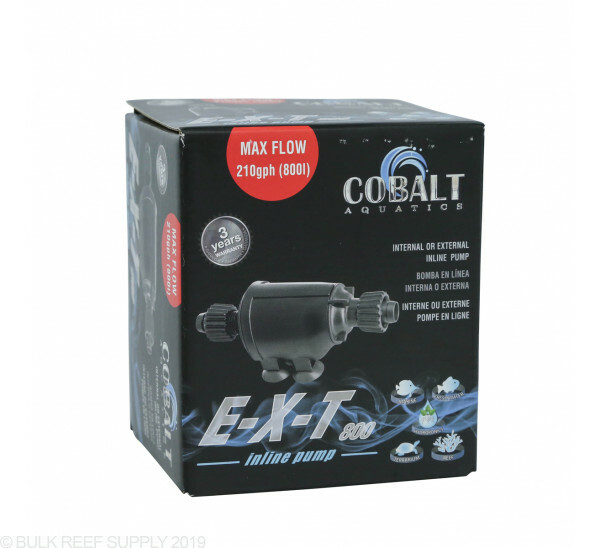 The E-X-T pump has a 5/8" inlet and outlet.